The loving atmosphere at A Plus Adventist Children’s Center provides a warm backdrop, allowing children to feel confident as they experiment and discover their abilities. The stimulating, child-centered setting offers a safe and developmentally appropriate environment where children can learn self-discipline and have the opportunity to make good choices. Call us today, and come in for a tour! Founded in 1981, A Plus is a year-round, non-profit preschool committed to providing a safe, secure, loving environment where children ages 18 months through 5 years of age can learn and explore. We offer a fun, stimulating environment where children learn through play and hands-on experience. 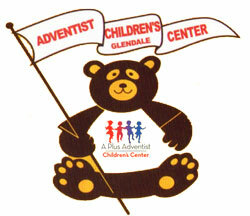 The Mission of A Plus Adventist Children's Center is to serve the Glendale community by providing a loving Christian atmosphere where our children can be nurtured as they grow.